Keep going around and around until you are finished – cute eh? Next time I’d probably sew some guidelines for the triangle so it ends up a perfect shape – my triangle is kinda more Eiffel-tower-y! Have you done any arrowhead tacks before – where exactly do you place them? And do you have any sewing tips for neat and tidy arrowheads? oh how cool! I've never seen this before, but I can see how it would be so helpful! And I like your eiffel tower-y triangle 🙂 tres chic! 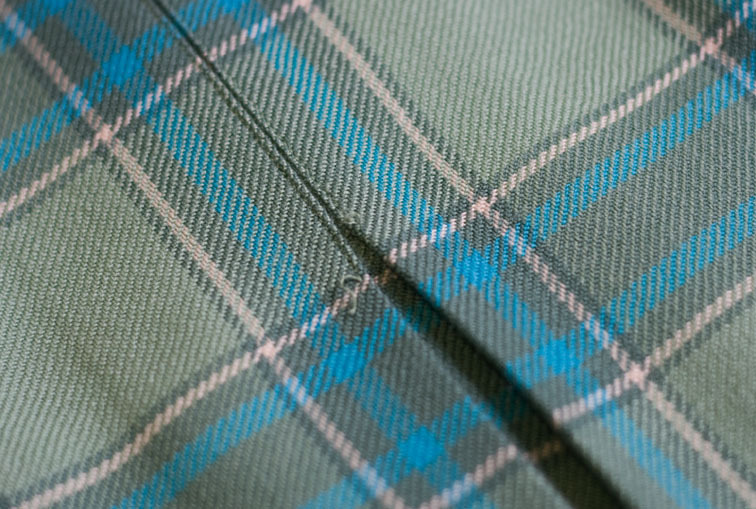 It's a lovely little detail that makes the whole skirt seem more special. Your triangle looks very good to me! 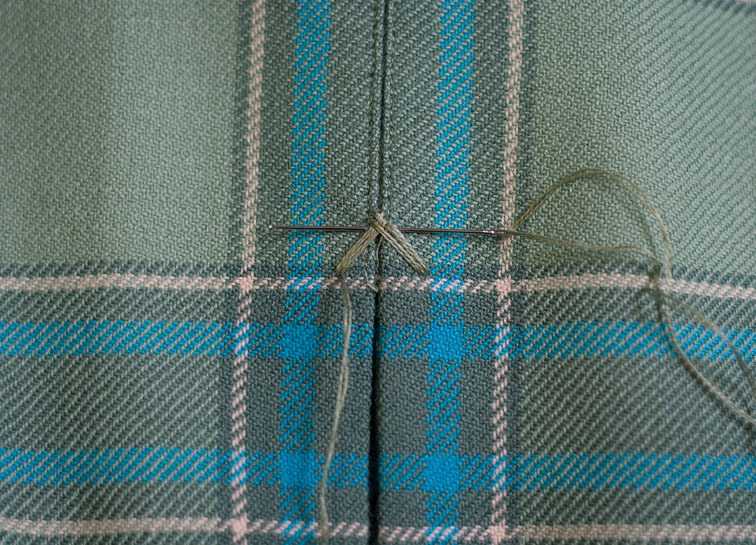 Now it's truly a vintage skirt. Cool! I had never seen this. Thanks for sharing! 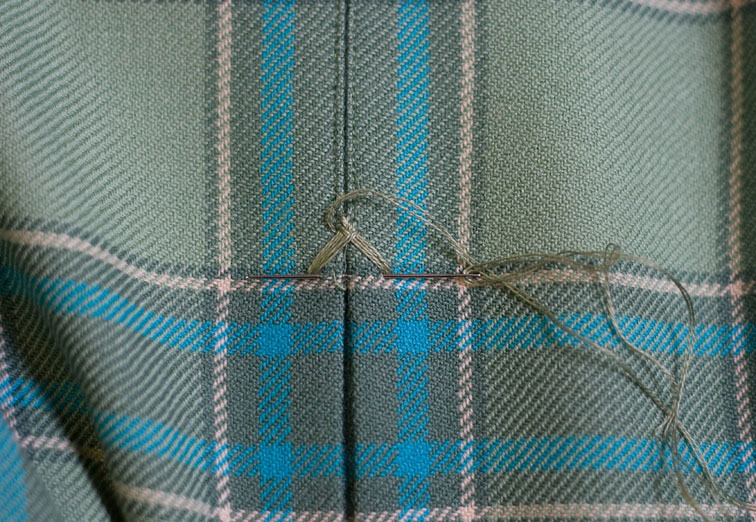 I've never done this before, but I've seen my mother in law embroider some handkerchiefs with satin stitch and she did something very important at the end of the job: she burnish the job with her needle passing the needle horizontally over the whole surface a few times. In doing this she was able to “join”the fibers together and obtained a more satiny effect. She also made more stitches per millimeter. I hope this helps. Last time I tried arrowheads was on a Western-style shirt for my husband. Never again! Lol, I have other talents than embroidery, so will choose to bolster my strengths and cover up my weaknesses. I use a figure-8 tack instead at stress points. I love your little Eifel Tower-y arrowhead! I've read about these and I love the look, but I haven't tried actually doing one. I kinda blow at embroidery, I guess I'm a little chicken. 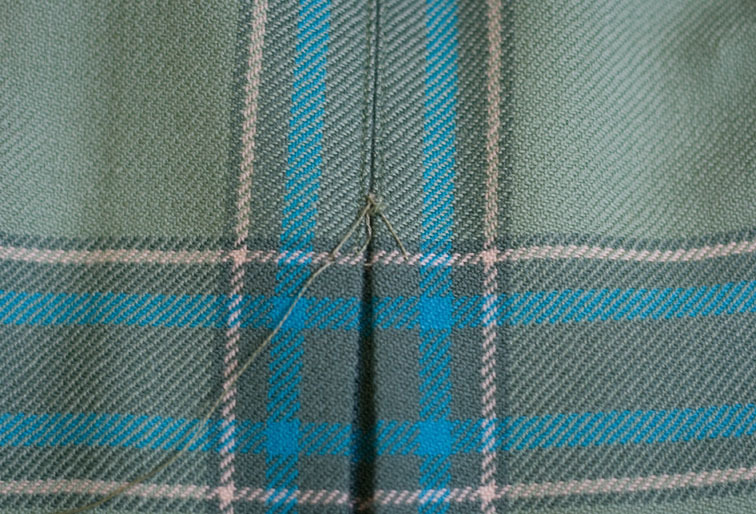 This is great…I just noticed a similar stress point on a skirt I was mending and now have a way to fix it! Thanks! Very cool! 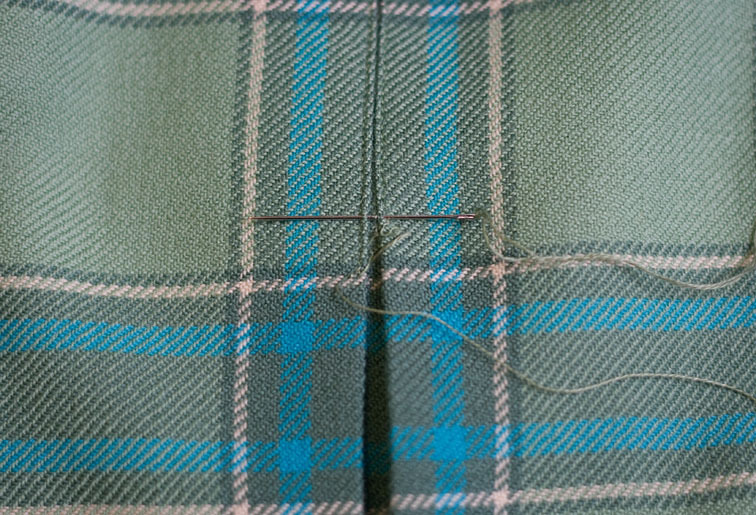 I love how you always have little extra stitch or technique that makes a garment really special and perfect. I told you already that I used to make arrowheads in the fifties and sixties. The Dutch word for it is vlieg,( Translated fly)We used to make them with the type of material that you use for handmade buttonholes.I think, it should be strong yarn.I preschetched it with chalk. 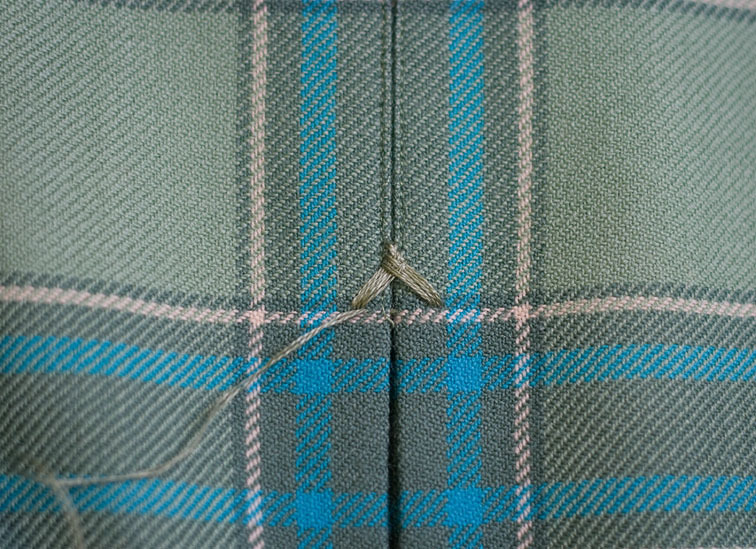 To avoid tearing of a pleat I stitch a rounded row of stitches from the side of the pleat to the middle. I hope you understand my English. If not I'll make a picture. What a great little detail. And what is wrong with Eiffel-towery!? It looks great. What a pretty detail. Looks good, but can you explain why you would do an arrow head? Is it just a finish or does it serve a purpose? Thanks. That's a nice couture finish. 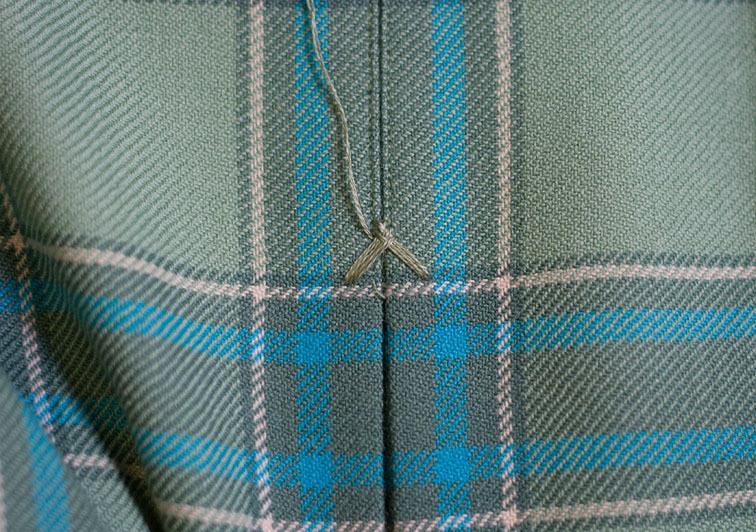 Another place they would be lovely is at the top corners of patch pockets. That is so right on that skirt . I think its beautiful!! Hi there, thanks for fabulous posts and info, I have often referred people here. Do you know about Versatile Blogger Award? I was passed on the award and I have nominated your fabulous blog for the award. If you are interested in, please visit my blog to see the rules to follow. What a darling little fixture! Imagine making one with variegated thread! Going to save this tutorial for a future date. Thank you for making it look so easy! Just a quick note to let you know that I am enjoying reading your blog so much I have nominated you for a Kreativ Blogger award. How neat! My Vogue sewing book has this, too. I'll have to give it a try. Thanks for the tutorial though, these are usually much easier to follow than a simple picture diagram. You are my hero in sewing. 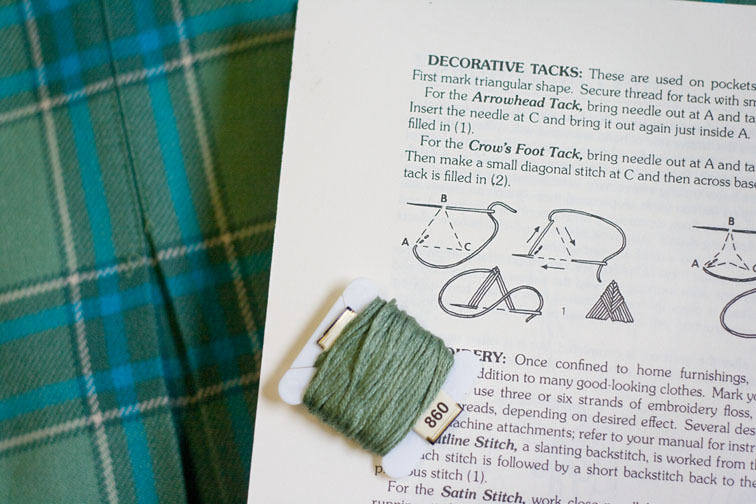 I looove your blog and your sewing tips (is it the right word in english). 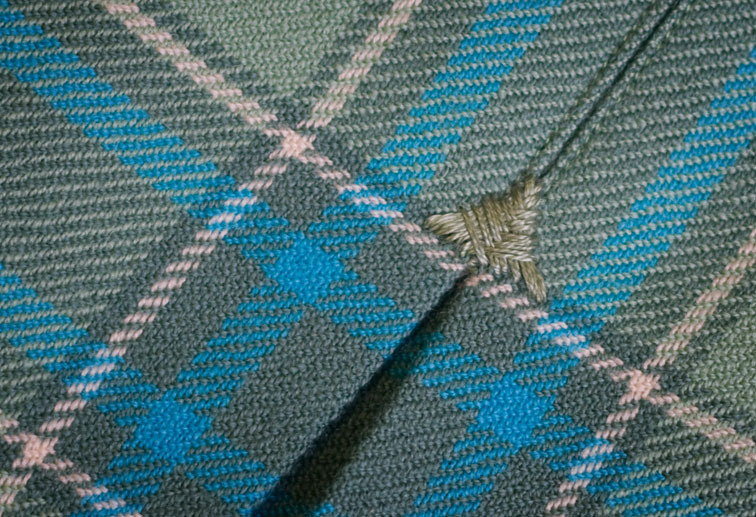 I will try it very soon on an old skirt I don't dare to wear anymore. Both! It does reinforce the area, and looks pretty too!